In reviewing and commenting on media, looking solely at movies and television isn’t enough. There is such a variety in how people communicate thoughts and ideas that focusing just on the wide-spread, visual media leaves a hole in the global marketplace of ideas. 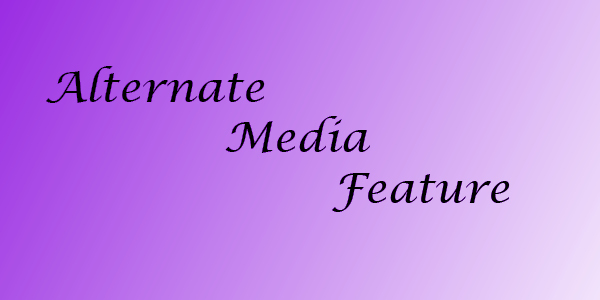 This week’s media feature is on podcasts. As most will know, podcasts are regularly released audio programs, similar to radio shows, that can be downloaded and listened to offline at the user’s convenience. They can be a great source of news, thoughtful information or pure entertainment. Below are four recommended podcasts. Let’s take a look. The Freakonomics Radio podcast grew out of the best-selling book Freakonomics: A Rogue Economist Explores the Hidden Side of Everything. Now, it’s easy to look at a title like that and ask, “How could a podcast (or book) about economics be that interesting?” It’s a valid question. Most people who have ever had an economics course tend to remember a dry lecture by an ancient professor who just kept drawing lines on a chalkboard. What one wouldn’t remember from econ class is learning about how cheating in sumo wrestling can help predict cheating in classrooms, or how Roe v. Wade could impact crime rates in the 1980s, or how David Lee Roth is like the biblical King Solomon. While those topics wouldn’t be considered in the classroom, those are the types of topics covered in the books and podcast series. Economist Steven Levitt and New York Times journalist Stephen J. Dubner have worked together over the last decade to find the hidden connections in the world – all supported by evidence and data – and share their discoveries. This is a great podcast for people who want to expand their view of the world or for those who want to have more interesting things to say at dinner parties. Most episodes are between 20 and 30 minutes, and they’re a good way to wake up the mind during a morning commute. 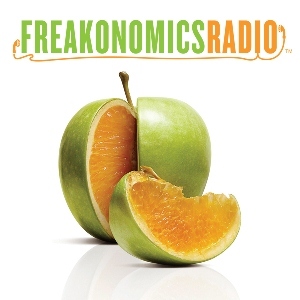 More information about Freakonomics Radio can be found here. The Thrilling Adventure Hour podcast is a series of stories performed in the style of old time radio broadcasts. The podcast is recorded in front of a live studio audience once each month. Each recording session includes multiple stories that are then released over the course of the month to podcast listeners. 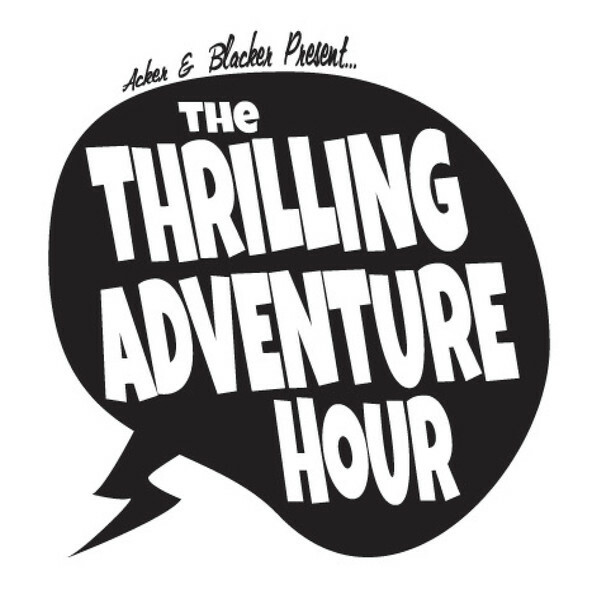 Since there are many different stories that all are released under the heading of the Thrilling Adventure Hour, it is possible that listeners may find they enjoy some of the tales more than others. The most popular and most regular stories are “Sparks Nevada, Marshal on Mars” and “Beyond Belief.” Sparks Nevada is about a man from Earth who, along with his companion who is a native of the red planet, is in charge of upholding law and order on Mars. This tale has a dedicated storyline that must be listened to in the proper order, and it is packed with excitement and adventure and humor. Beyond Belief is about an upper class married couple who also happen to be able to see and talk with ghosts. Their drinking time is constantly interrupted by supernatural occurrences that only they can handle. The wit and sarcasm in this segment leads to constant laughter from both the audience and the listeners. Other segments happen with less regularity, but are often equally entertaining and full of adventure. Listeners learn what segments they prefer and can pick those out from the list of episodes. Most segments are about 25 minutes long and are good entertainment for relaxing or before bed. More information about The Thrilling Adventure Hour can be found here. The Welcome To Night Vale podcast is an ongoing story in the style of community radio. It’s released on the first and fifteenth of every month and tells of the happenings in a small desert town in the southwest of the United States. On its own, that may not sound so thrilling. And things in this town are pretty standard. From hooded figures outside a dog park that citizens aren’t allowed to enter to a vague yet menacing government agency working to control everything behind the scenes to a menacing glow cloud (ALL HAIL) that can control minds and that drops dead animals as it passes, life in Night Vale is just the same as it is anywhere else. Stories from small towns like Night Vale, Twin Peaks, Hemlock Grove and Derry, Maine, always seem to capture the interest of outsiders for some reason. Listening to the goings on and interactions between well-recognized town citizens in these small communities is just fun. The tales from Night Vale are heartwarming and bone-chilling all at once, and listening to love and rebellion and death and victory in 25 minute increments is a wonderful way to keep from sleeping at night. 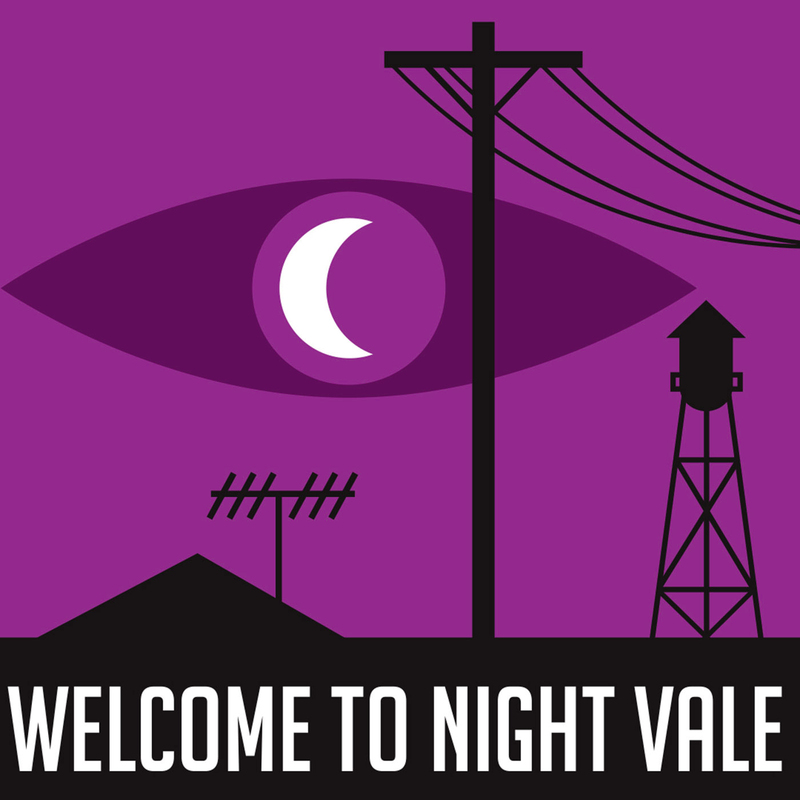 More information about Welcome to Night Vale can be found here. This entry is somewhat cheating because it’s two different podcasts on the same podcast network. However, both are shows of merit and deserve mention, and Critical Hit would not exist without Major Spoilers. The Major Spoilers podcast is a show that collects and talks about the big nerd news each week, movies and tv shows, but the particular focus is on talking about comic books. The group reviews and rates that week’s releases, and, as the title suggests, they don’t hold back on the spoilers. Given the geek revolution of recent years, there is usually a lot of news to cover, so the podcasts do run a bit long. However, the group is dedicated to their work and seem to have a lot of fun with it, so the show never seems to drag. It comes out every Tuesday, and it is a good way for listeners to catch up on anything they might have missed in the week. Critical Hit is a spinoff show from Major Spoilers that releases every Saturday. It is a Dungeons and Dragons podcast featuring a group playing and discussing the Fourth Edition (and recently Fifth Edition as well) of the classic role playing game. The game has been going now for long enough that it has been broken into seasons, and this has given listeners a lot of time to connect with the characters. For anyone who has ever wanted to play Dungeons and Dragons but has never had the time or the social group to do so, this is a great way to get introduced to the game. Experienced players will enjoy experiencing the story and watching it develop, even those who have expressed dislike of the Fourth Edition system. Some may find that dislike melting away as they join in on the adventure and learn more about the gameplay. Again, the episodes run fairly long, but there is a lot of action and a lot of story, and the time commitment never feels like a burden. More information about Critical Hit and Major Spoilers can be found here. These are some of my personal favorites. Any readers who would like to share the podcasts they most enjoy, please do so in the comments section below. I’ll listen to them, and you may see your favorite in a future Podcast Roundup.